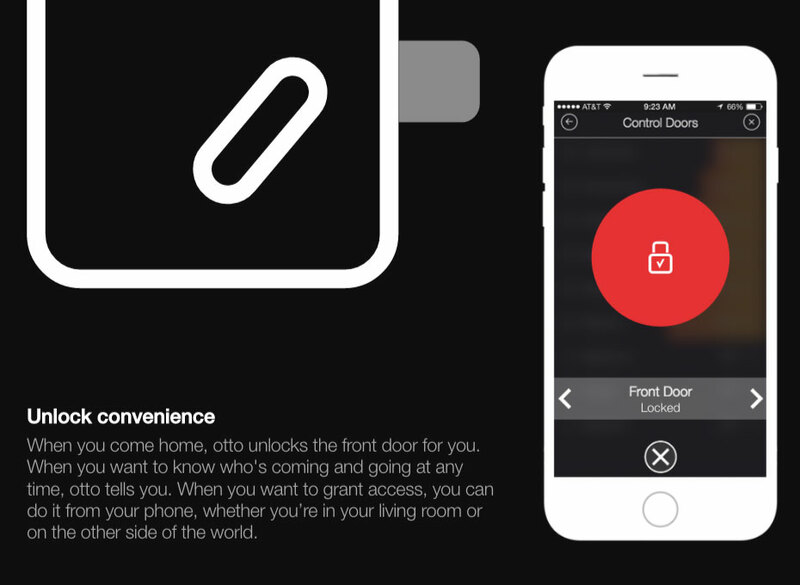 Otto is an app for your new home. We partnered with the most innovative builders in the world. 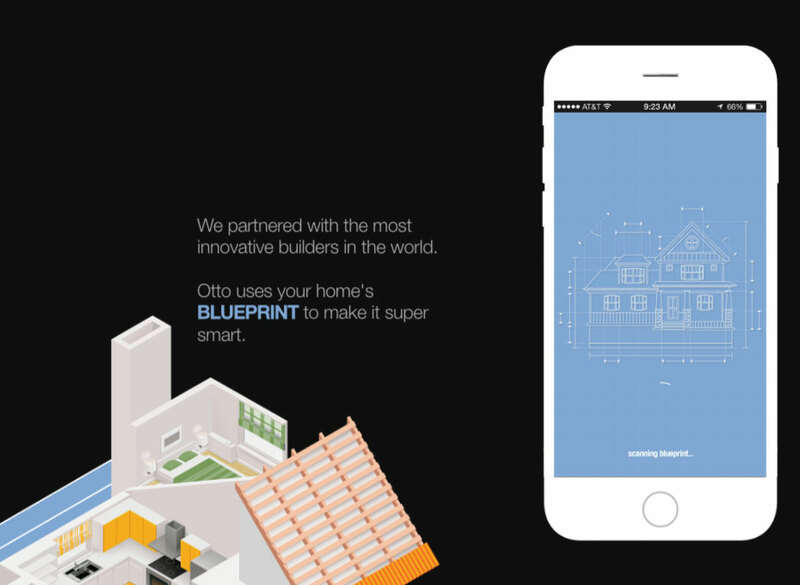 Otto uses your home's BLUEPRINT to make it super smart. Every time. 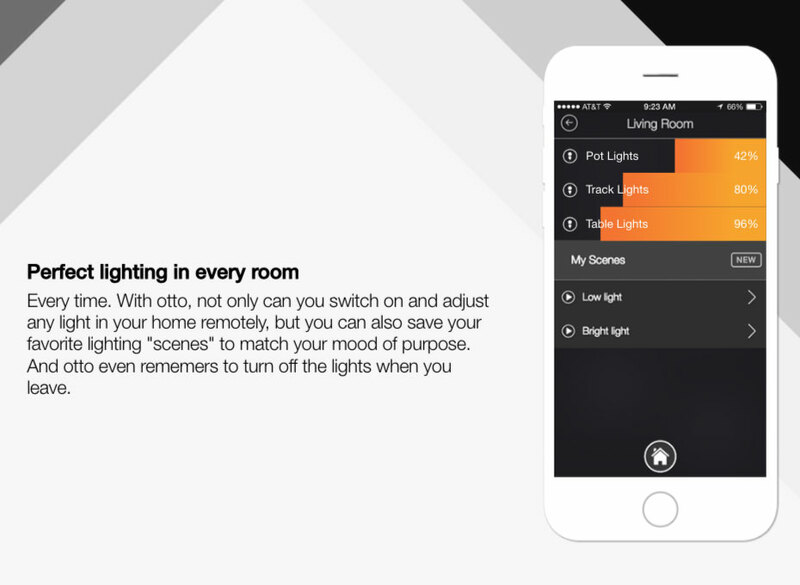 With otto, not only can you switch on and adjust any light in your home remotely, but you can also save your favorite lighting "scenes" to match your mood of purpose. And otto even rememers to turn off the lights when you leave. Hi Honey. Did you lock the front door? When you come home, otto unlocks the front door for you. When you want to know who's coming and going at any time, otto tells you. When you want to grant access, you can do it from your phone, whether you’re in your living room or on the other side of the world. Why is the Heat up so high? Do you pay the bills? Put a sweater on... Love you! When there’s nobody there, otto knows and dials down the temperature accordingly. When you’re coming home, otto tells the thermostat to give you a warm welcome. 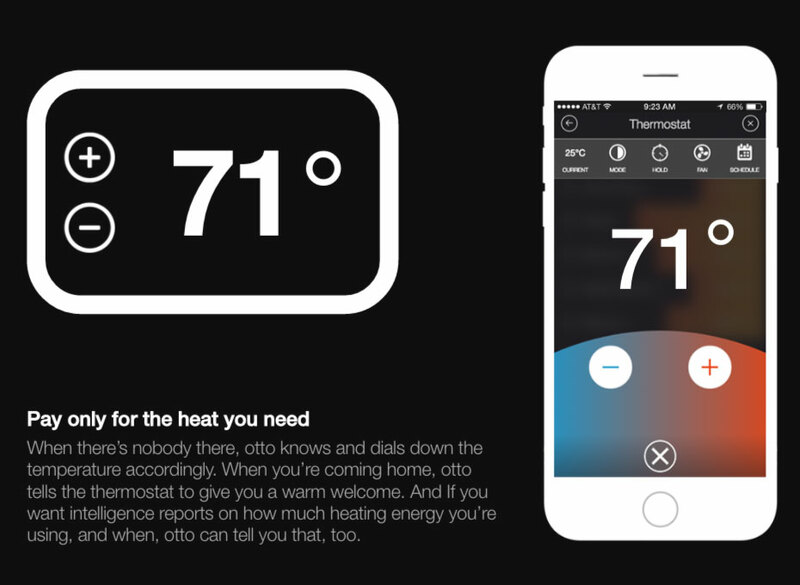 And If you want intelligence reports on how much heating energy you’re using, and when, otto can tell you that, too. 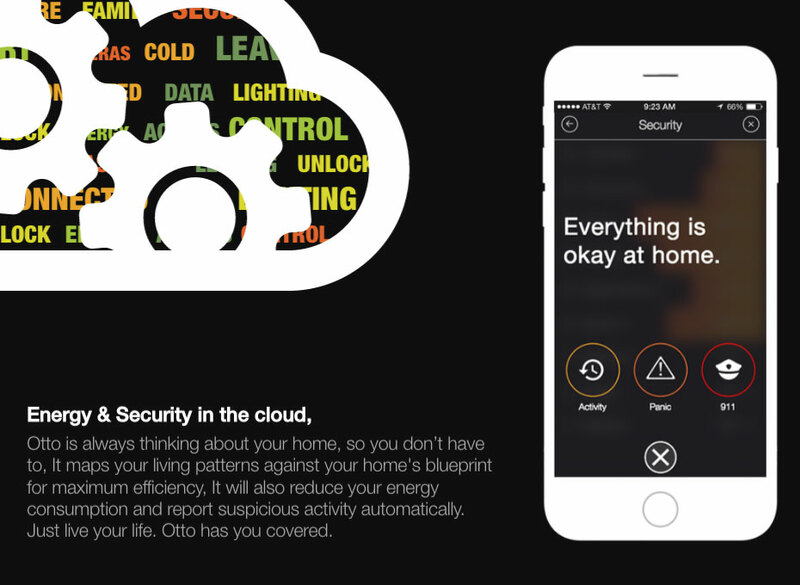 Otto is always thinking about your home, so you don’t have to, It maps your living patterns against your home's blueprint for maximum efficiency, It will also reduce your energy consumption and report suspicious activity automatically. Just live your life. Otto has you covered. 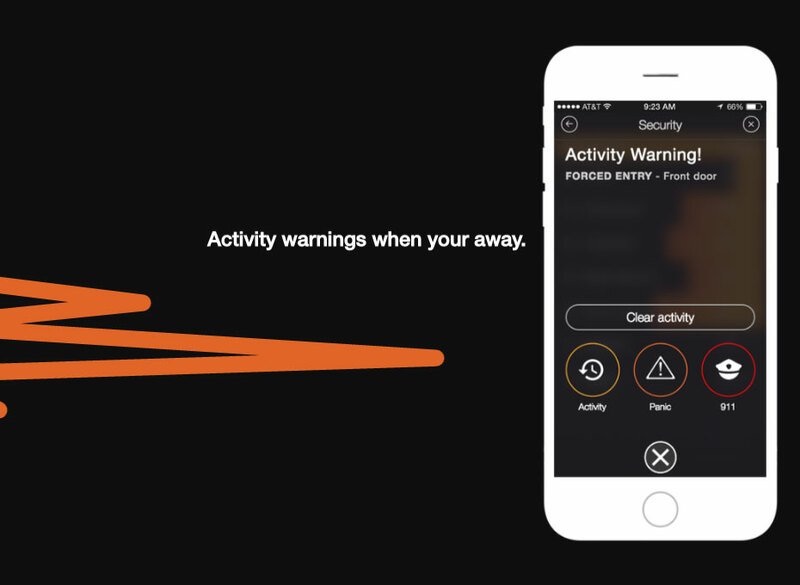 Activity warnings when your away. 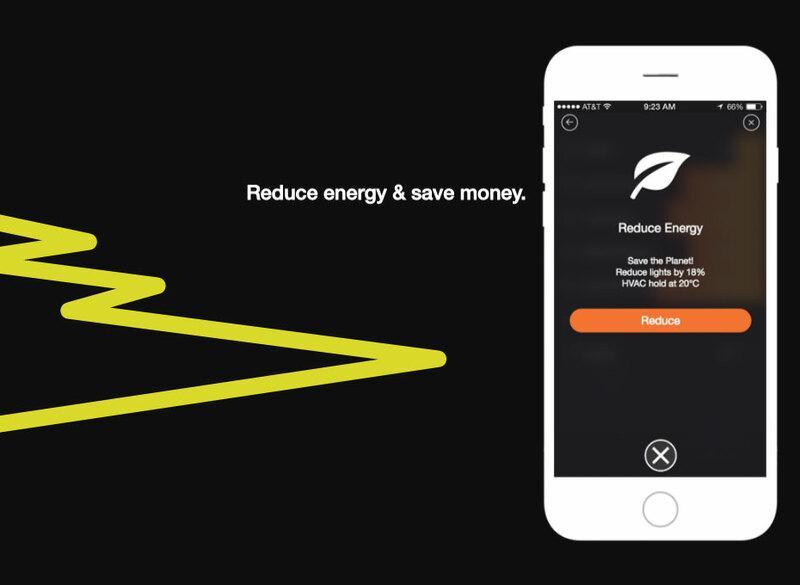 Reduce energy & save money. Otto pays for itself with savings. 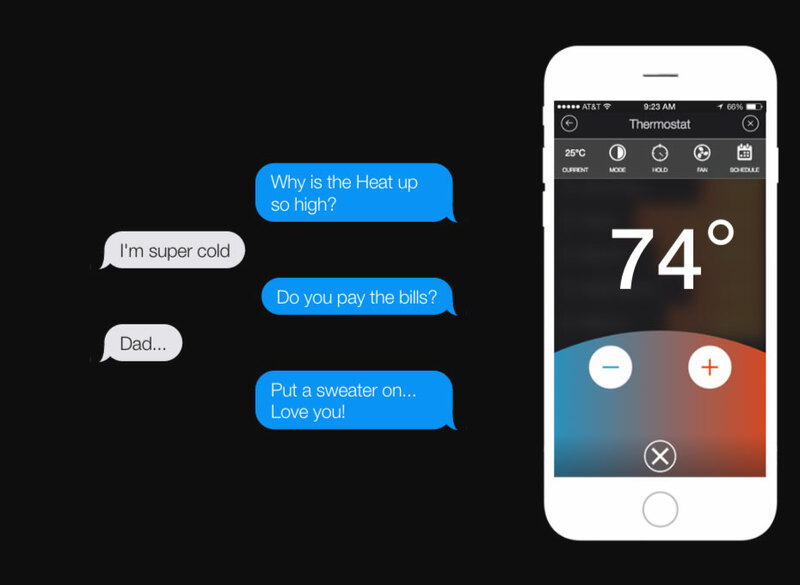 Add up your savings from lowered heating and electricity bills, and by avoiding monthly security fees, and you will see that otto pays for itself, several times over. Otto is installed by your homebuilder, and comes included in the cost of your mortgage, so there is no expensive after-market installation. 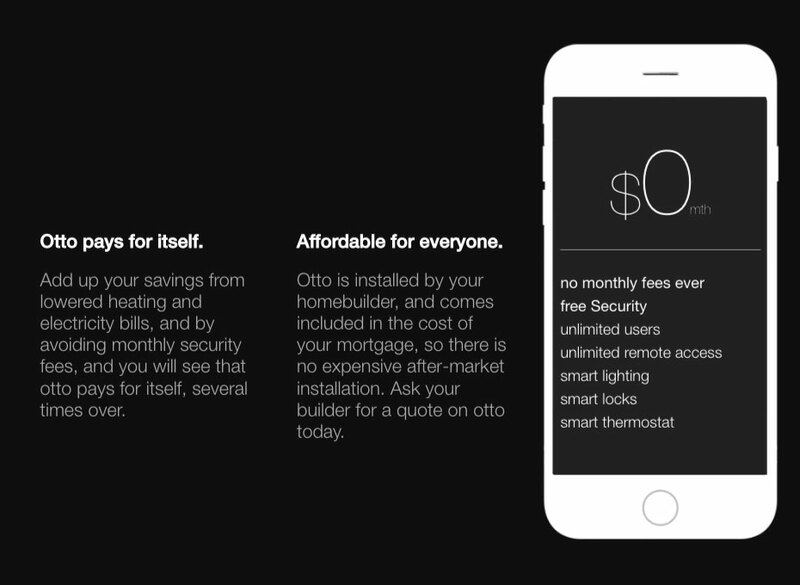 Ask your builder for a quote on otto today. about how to get started with otto. 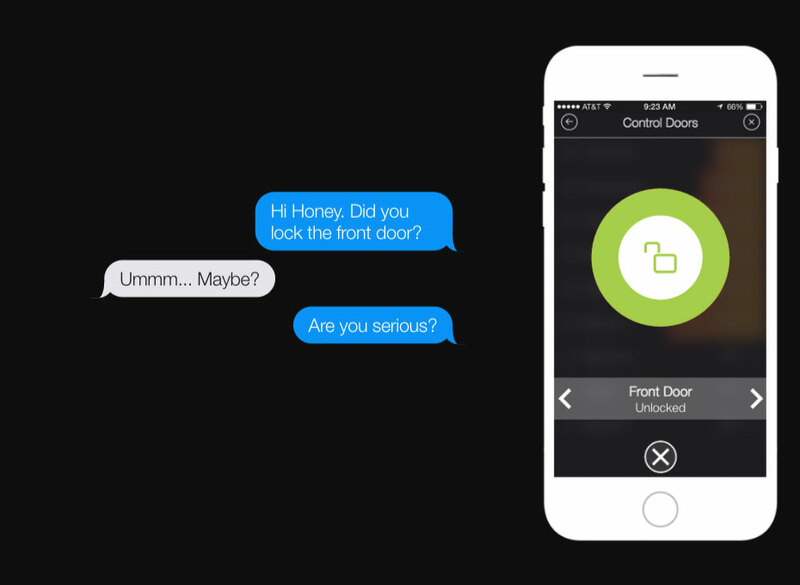 This is what home automation should be: preinstalled, easy to use, impossible to live without once you have experienced it. 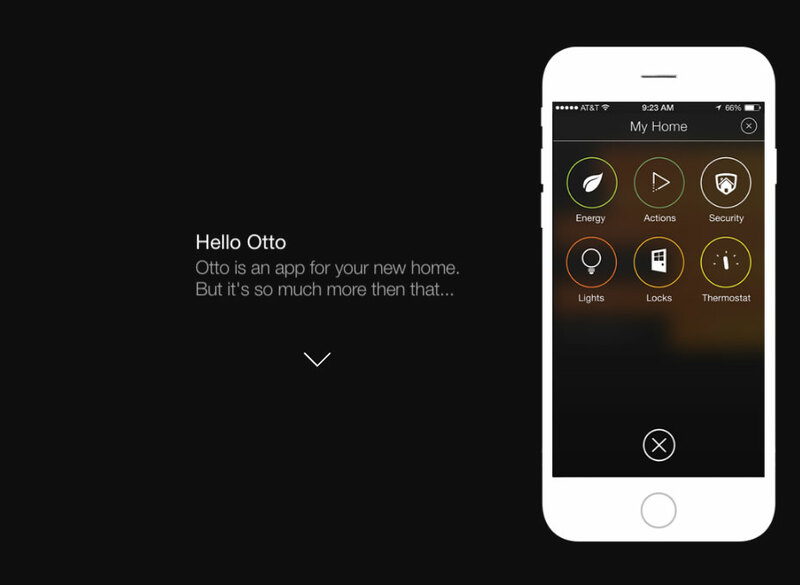 Otto brings everything together in one elegant home interface and one easy app. Otto learns and adapts. Otto protects your home. Otto saves you money.